Faith and Service grows in the midst of friendship. We come together as servants of Christ, seeking to know God’s love and find the opportunities to serve our community and world and in the process we build relationships that become a blessing for all. In a world where “friend” too often means a casual list on a social network website, we strive to provide opportunities where bonds of affection and relationships of support are created. To walk with one another through all that life offers is a way to understand that we are blessed to be a part of God’s community. We are blessed with a sense of belonging and connection that allows us to joyfully experience life and faith and hope and meaning. Our Fellowship Committee coordinates after worship coffee and cookies where everyone is encouraged to enjoy a smile, encouragement and even a brownie! Other “events” sponsored by that committee include 5th Sunday breakfast, a pre-worship meal served to the congregation prior to worship on any 5th Sunday of the month. The only agenda of these breakfasts is to come together to enjoy a meal and the company of friends. 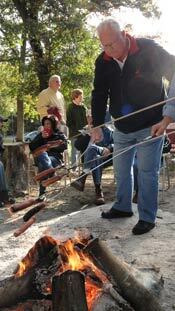 Each year we celebrate the Autumn cool-down with a hot dog roast at Blackhawk Park. 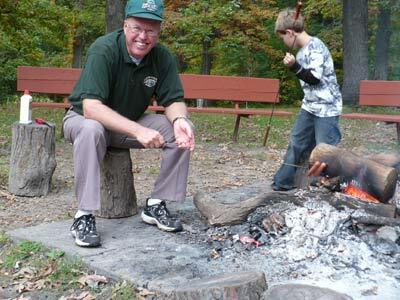 While the “dogs” are cooked (by a member of our committee or the old fashioned way over a fire) we enjoy one another and relish the good food that comes from our various kitchens. 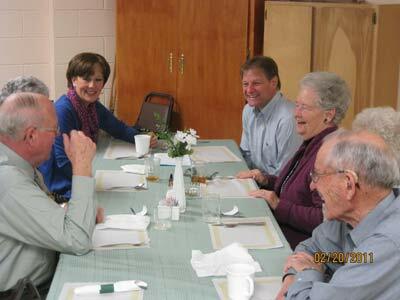 Throughout the year we find various reasons to gather for a meal together. Sometimes it’s a potluck where everyone brings a favorite recipe. 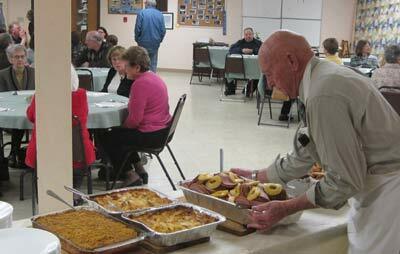 At other times it’s a meal served by one of our committees in conjunction with another event or as a fund raising effort to further a ministry goal. Our Presbyterian Women share time together in Bible Study and for different ministry efforts. One of their circles is The Cover Girls, a group of women who gather each Tuesday for quilting and sewing that provides them opportunities for fellowship and to share their golden needles with our community. The Deacons extend our fellowship to the community with care and nurture for our shut-ins and others who are in need.